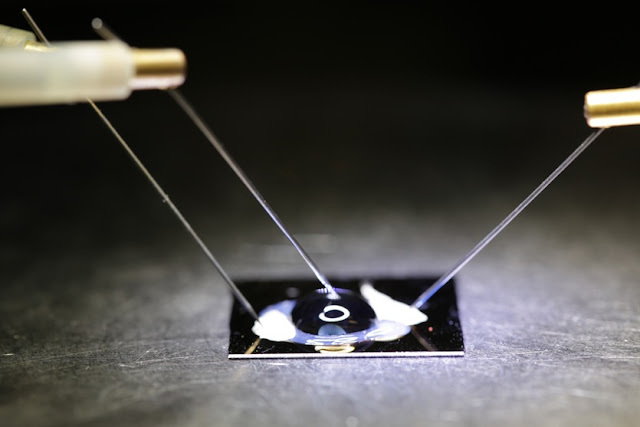 Embedded with double stranded DNA, this electrical graphene chip is able to detect mutations in DNA in the body, thanks to bioengineers from the University of California. Graphene is a type of carbon made of layered sheets only one atom thick. Researchers say this chip has the potential to be used in medical applications, including blood-based tests for early cancer screening. The chip’s DNA is an engineered probe containing a sequence code for a specific, basic type of DNA mutation. When this mutation is detected, the chip gives off an electrical signal. This breakthrough is the first step towards developing a chip that can be inserted into the body and, in real time, communicate DNA mutations wirelessly to a smartphone or laptop.